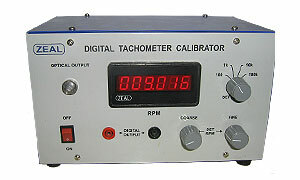 We calibrate the tachometers that measure the rotational speed of a shaft or disk in machinery and equipment. Our RPM calibration capabilities include the contact tachometer in the range: 100 to 10,000 RPM, which makes physical contact with the shaft or surface speed to obtain measurement. We also calibrate the non-contact models such as the optical tach designed with a transmitter and receiver and the optical laser tachometer used for RPM detection in tight spaces or danger areas. 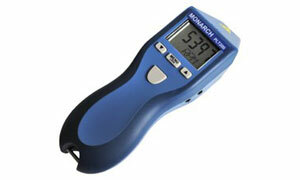 Our calibration measurement range for non-contact tachometer is from 5 to 99999 RPM.